We, Shaquel Adams, Brya Adams, Bria Thomas, Joy KMT, Bekezela Mguni, La’Tasha Mayes, Quinn Elliot, Aimee Mangham, Jaimee Mangham, Raymond Peterson and Allies, are responding in solidarity with every black victim of injustice. We are enraged by the verdict of not guilty for George Zimmerman. We are committed to disrupting what passes for justice as usual. As residents of Pittsburgh we say from our own experiences as black people that Pittsburgh is not America’s “Most Livable City”. We are calling for an end of the criminalization of black people, black bodies and the black community. We should be valued because we are human beings. Our lives and the lives of our children are precious. And all agencies, institutions, organizations, complicit with systemic injustice and white supremacy in Pittsburgh. We encourage the City of Pittsburgh, all community organizations, non-profits, churches and businesses to stand with us, express solidarity and denounce the culture of institutionalized white supremacy that inflicts incomprehensible violence on Black lives and bodies. the inequitably enforced laws and judicial system that allowed George Zimmerman to be found NOT GUILTY of all charges. 3. We demand the Pittsburgh legal system begin in-depth investigation of its own verdicts and systemic criminalization, abduction, abuse and murder of Black people, demonstrated by countless cases of injustice including Jordan Miles, Avis Lee and Terrell Johnson. 4. We demand continuous commitment to allocating the resources necessary to support the self-determination of Black communities particularly insuring the safety and freedom of movement for all residents. 5. We demand continuous commitment to allocating the resources necessary to support Black communities’ self-determination in regards to property and land use, including but not limited to vacant properties and abandoned school buildings. We demand the halt to any development in historically Black neighborhoods that does not include community consensus or benefit as determined by the Black and senior residents themselves. We demand the financial and technical support necessary for community-directed development. 6. We demand all development in Black neighborhoods directly benefit that community and be decided upon with meaningful neighborhood consent, participation and leadership. 7. We demand the City of Pittsburgh actively support the creation of Black economic initiatives through policy, funding and other resources. 9. 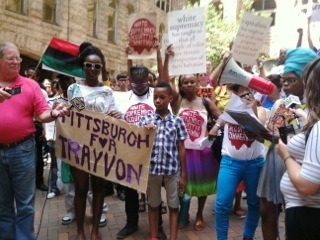 We demand a coalition of medical and wellness professionals, provider organizations, agencies and community activists to address the extreme disparities in the physical well-being of Black people as compared to whites in Pittsburgh which is demonstrated in part by the current Black infant mortality rate and the abysmal life expectancy of Black women. 10. 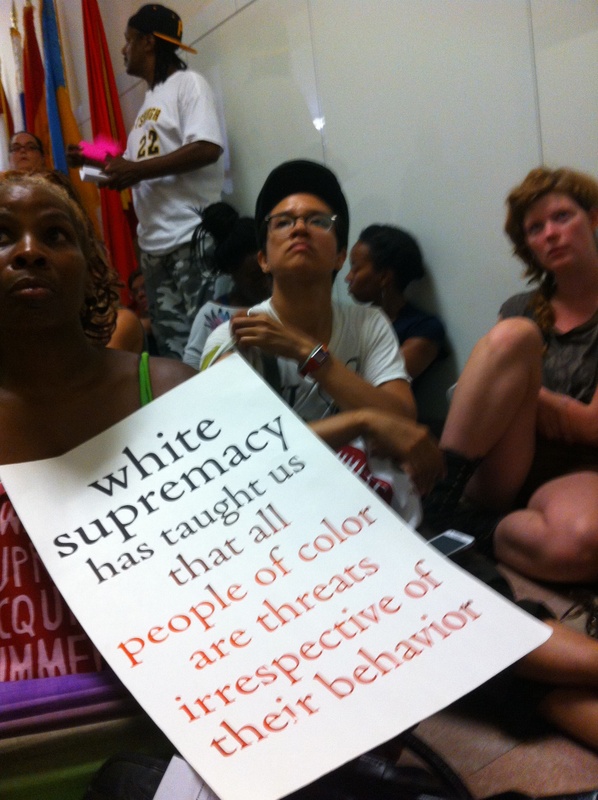 We demand Pittsburgh institutions attend organizational anti-racist training, conduct an examination of white supremacist tendencies and demonstrate equitable internal and external dynamics and distribution of power. 11. We demand all employees of government and service institutions attend anti-racist training and are held accountable for demonstrations of white privilege and supremacy. 12. 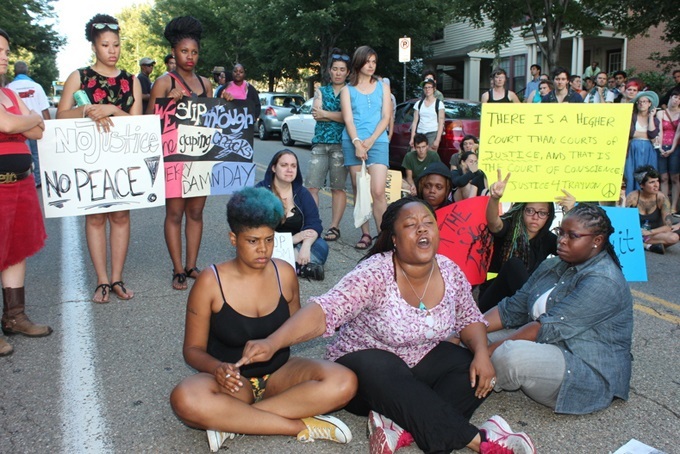 We demand culturally-relevant emotional support for Black communities in response to trauma. 13. We demand the City of Pittsburgh create a Human Rights Bill as an active demonstration of the inalienable right for all to be, the immeasurable value of the lives, bodies and minds of all oppressed people and a commitment to true physical and emotional justice for oppressed people within the City of Pittsburgh. 14. Finally, we demand the City of Pittsburgh hold the tragic death of Trayvon Martin as a wake up call to the culture of white supremacy that produces, protects and inflicts emotional, institutional, legal, economic violence on Black lives and bodies. 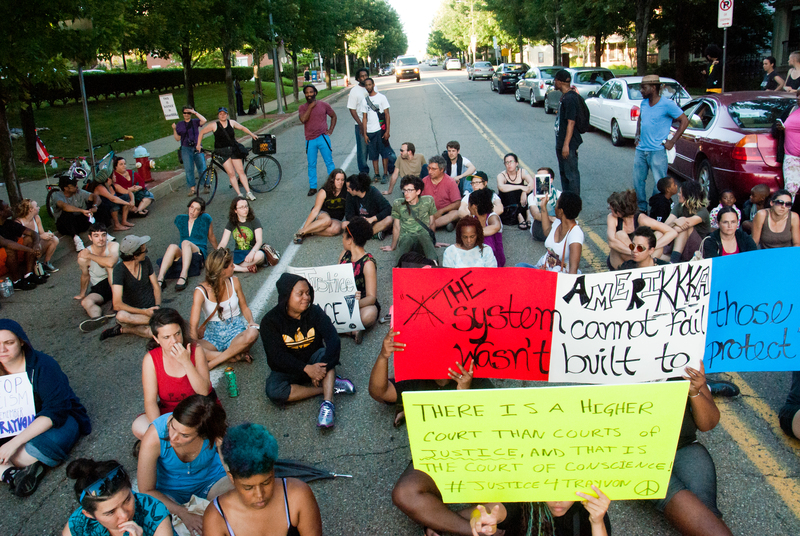 We demand Pittsburgh renounce “America’s Most Livable City” title until these demands are met. – We expect a response from named organizations within 3 business days. – We expect each agency named to create a public action plan that includes accountability, to address these issues. Dear URA, We LOVE Pittsburgh!